With a variety of well stimulation and lifting solutions, Liberty Lift has made efficiency a priority for the oil & gas industry. Our artificial lift equipment delivers that much needed pressure and maximizes cost effectiveness for extraction operations. 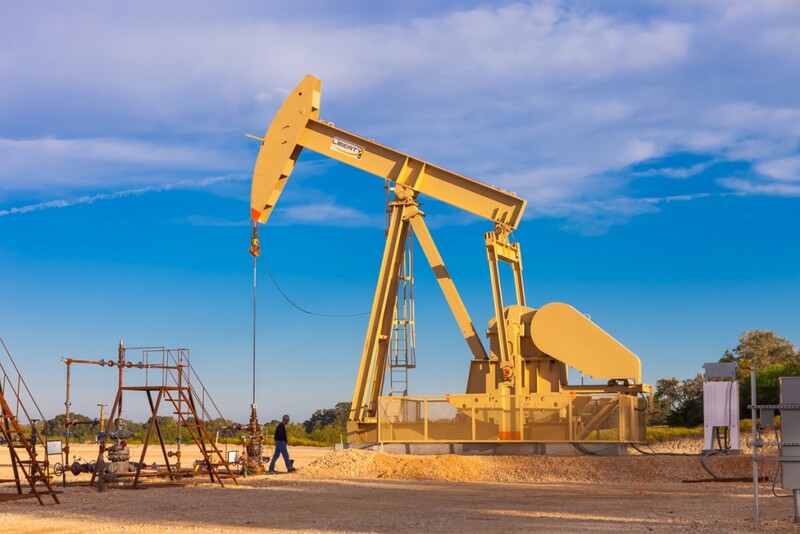 And because nearly 100 percent of all oil and gas wells need some form of stimulation, Liberty Lift is a critical partner for oil and gas producers operating in U.S. drilling regions. Today’s oil and gas extraction operations are faced with more challenges than ever, and Liberty Lift’s stimulation technologies are built to defeat those challenges. Our senior management has an impressively deep knowledge of all types of pumping systems. From that foundation, Liberty Lift can produce and implement iron for any oil and gas well, no matter its depth or flow rate, or whether the well is deviated or not. Our equipment is built for the demanding down hole environment, and capable of withstanding the kind of physical and chemical punishment that comes with the territory. Liberty Lift has a single mission for all of its clients – to capture that perfect level of pressure in the pursuit of optimized oil & gas production. We accomplish this mission with our rugged, reliable and proven pump systems, each designed and built to exceed API 11E standards. Rig operators have a tough job in maintaining well production, optimization and safety. It’s made tougher as the well’s conditions change, most notably its formation and hydrostatic pressures. Liberty Lift’s artificial lift system technologies are the ideal solution to countering expected drops in pressure. Eventually, every oil & gas well requires stimulation for continued production, and Liberty Lift’s technologies are key to providing that stimulation. Our extensive product line, from our beam pumping units to our gas lifting systems, are produced using best design, manufacturing and installation practices. We’re proven in the field and can put together a piece of iron for every drill site and rig, no matter the conditions. Liberty Lift’s well lift and stimulation products are designed to optimize well production at every point of its life cycle. Even wells that initially produce great amounts of pressure will eventually need lift technology, and between Liberty’s beam pumping units, hydraulic jet pumping units, gas lift systems and XL Long Stroke units, we have ways to apply pressure. Every one of our products is manufactured to beat API 11E standards, so our iron earns the monogram. And our artificial lift systems earn their place in the field. Liberty Lift is made up of industry veterans, so we know how to support a project and lift operations after the pumping unit is installed. While some equipment designers and manufacturers take a hands-off approach after the iron is sold, Liberty Lift does things differently. And that’s because we have one of the most talented service teams in the business. Our support professionals are extremely versatile and can provide in-facility or field services, depending on the situation. Liberty Lift has a presence throughout major U.S. drilling regions, with several facilities acting like hubs for our service professionals. Here, our team can perform various repair, testing and machining tasks, including hydrotesting our gas lift valves prior to installation. In the field, our service personnel can support ongoing oil and natural gas lift operations. In addition to field repairs and preventative maintenance, Liberty Lift can install new or reconditioned pumping units, replace components like rods, belts and sheaves, and optimize the pumping unit’s systems. We don’t just design, manufacture and install pumping units. We help manage them. Liberty Lift is not just an equipment dealer. We design and engineer, as well as manufacture, all of our pumping units. And Liberty Lift doesn’t settle for outdated concepts, as we are constantly iterating and adding to our product portfolio. Our beam pumping units, for example, are built with a high efficiency geometry, allowing for extended crank rotation and additional upstroke fillage. And Liberty Lift can provide advanced features like that while adhering to advanced quality processes, including API Q1 requirements. It’s all for the sake of maximum efficiency and safety. Liberty Lift’s beam pumping units are the product of decades of engineering experience, and like with all of our products, they combine the best of what has come before with our own advancements. Liberty Lift constantly adds to and improves on its product array, and that includes the tried and true beam pumping technology. Our beam pumping units are available in two designs, including a High Efficiency, or HE, and an Enhanced Geometry, or EG, model. Both the HE and EG designs have been drawn up by Liberty Lift engineers and are built to exceed API 11E structural engineering standards. They are developed with pinion and shaft bearings designed to exceed 10 years of performance. The HE and EG are also built with cast and forged steel, making for superior gearing performance. The primary difference between the HE and EG is their rotational capabilities, as the EG provides up to 192 degrees of crank rotation while operating. The HE, then, is the classic, extremely reliable design, while the EG cuts downstroke time and maximizes work potential. Oil & gas companies can’t go wrong with either, as Liberty Lift beam pumping units are the pinnacle of the technology. Liberty Lift’s gas lift systems are an ideal choice when the well is particularly tough to handle. If the well is directional, even horizontal, then gas lift is a compelling choice. If solids are a known issue in the well, which is often the case in the Permian Basin, for example, then gas lift is usually the safest and most economical choice. And because gas lift systems are just plain versatile, lift depth and volumes can be worked around, to a large extent. Liberty Lift’s gas lift systems provide those benefits as well as our own additions. Our engineers have produced a gas lift system that operates especially well in offset deviated wells, by quickly removing flowback fluids and larger solids, using slickline plug removal to achieve the effect. All of Liberty Lift’s artificial gas lift systems are maintained by our best-in-the-business support team, which can install, repair and replace gas lift valves and mandrels, as well as any other components that require attention. As such, Liberty Lift is able to keep our clients’ gas lift expenses as low as possible. The XL Long Stroke unit is Liberty Lift’s contribution to long stroke technology, which is perhaps the most important rod pump advancement in the last 30 years. Rod pump units have long been perfected, as they are among the oldest methods of artificial oil and natural gas lift in existence. However, long stroke technology is changing the game, allowing for a level of efficiency and reliability that was previously hard to come by. Liberty Lift’s XL Long Stroke unit offers an impressive 306-inch stroke length, which is near the top end of what the technology can do. That extra stroke provides a wealth of productivity benefits to the rig operators. The most noticeable is much improved efficiency, as less rod stretch is required to pull fluid. Better gas compression ratios also prevent gas locking, improving efficiency further. And because less frequent cycling is required, the XL Long Stroke unit protects critical valves and rod string equipment from wear. The XL Long Stroke is an investment into greater productivity, durability and safety, and will pay for itself many times over during a well’s life cycle. Liberty Lift has made its name as a top designer and manufacturer of artificial lift technologies, and for good reason. It’s not the only thing that Liberty Lift does well, though. We are client-focused, producing solutions that are custom fit to our customers. That means more than just selling equipment. It also means supporting that equipment and our client’s operations far into the future. For example, our service facilities can fabricate and stock essential components like mandrels and valves, all engineered to API specifications. That level of support is what sets Liberty Lift apart from the rest. That, and our world-class technology. Beyond our own manufactured products and our exceptional support services, we also partner with other industry-leading companies to help deliver the very best products to our clients. This kind of collaborative effort helped bring about our hydraulic jet pump. Hydraulic jet lift systems are among the most capable artificial lift technologies in existence, and Liberty Lift and JJ Tech have teamed up to improve on the technology even more. The Liberty Lift and JJ Tech hydraulic jet lift system utilizes an impressive Wanner Engineering surface pump system and JJ Tech’s downhole pump components, making it a truly formidable piece of iron. Hydraulic jet pump systems are prized for their ability to function at great depths, their flexibility and their ease of maintenance. The Liberty Lift and JJ Tech system goes further, with features like discharge and pressure sensors, as well as pump oil level gauges and a vibration sensor. The extra information is valuable in maintaining optimal productivity while protecting against cavitation and pressure abnormalities. The downhole pump is built without moving components, for even easier maintenance, and can be adapted for use with most wells, including deviated and horizontal wells. The system is ready for sale or rent, and is backed by Liberty Lift’s second-to-none support team.